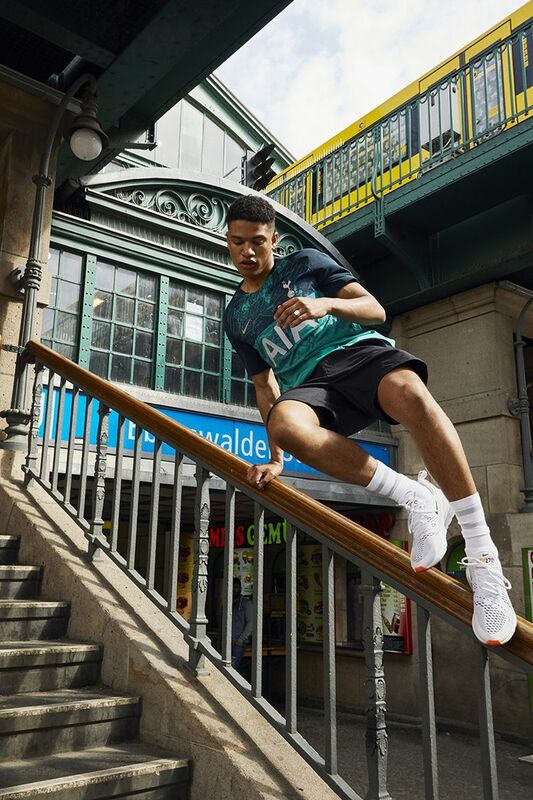 This season, Spurs will build on their dominance of North London and take that form into Europe. 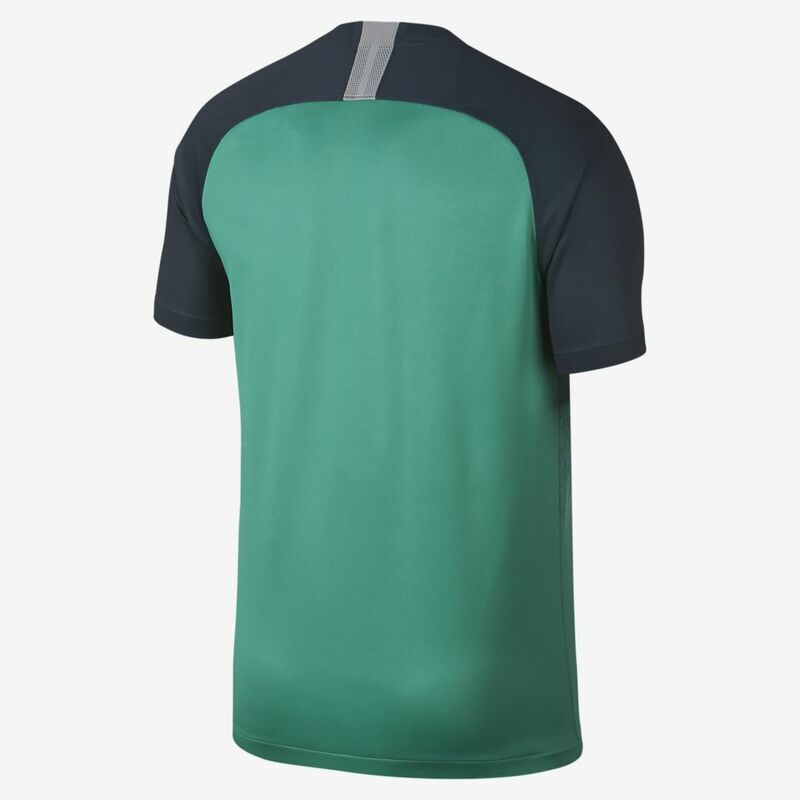 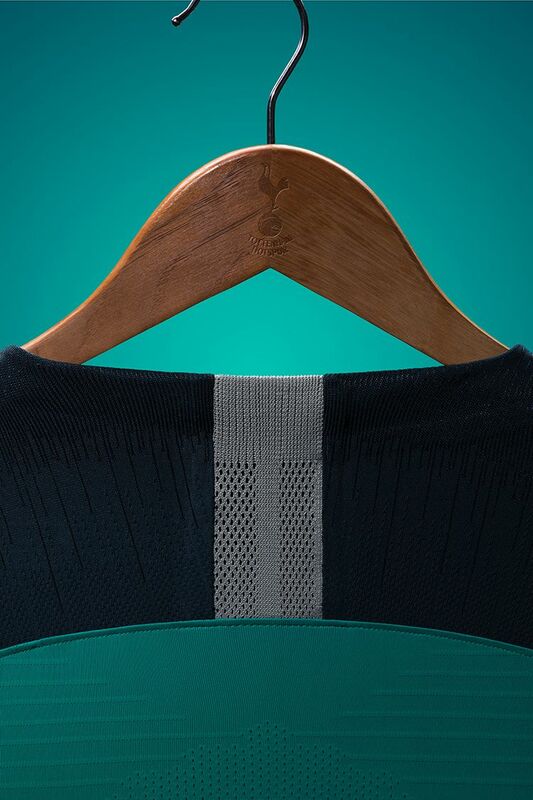 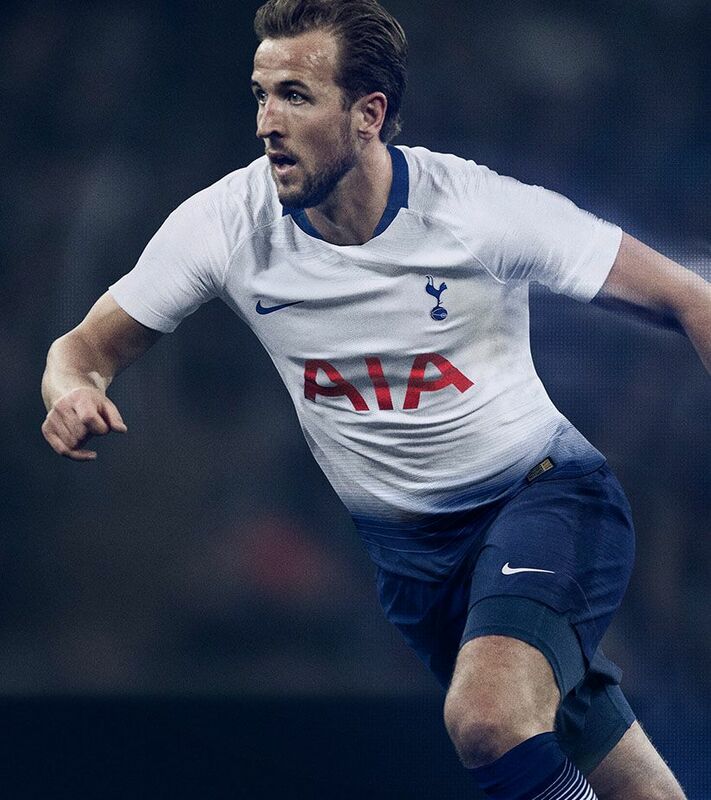 The kit's green hues draw inspiration from the original logo of Charrington's Brewery, the company that originally owned the land where White Hart Lane was built. 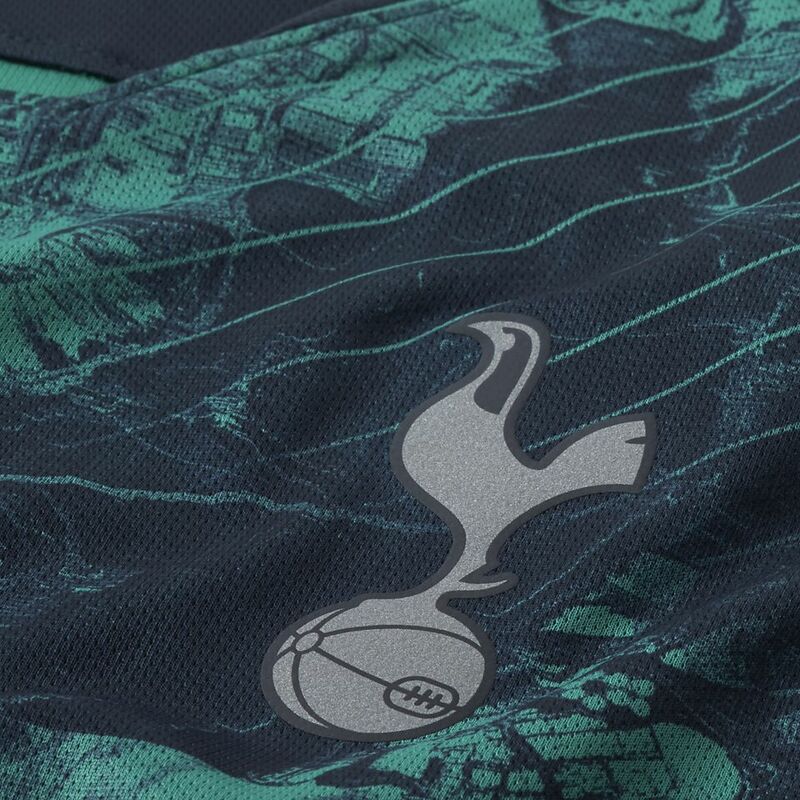 In the same geographic vein, the subtle print on Spurs' third kit is actual aerial photography of N17, White Hart Lane and Haringey Borough. 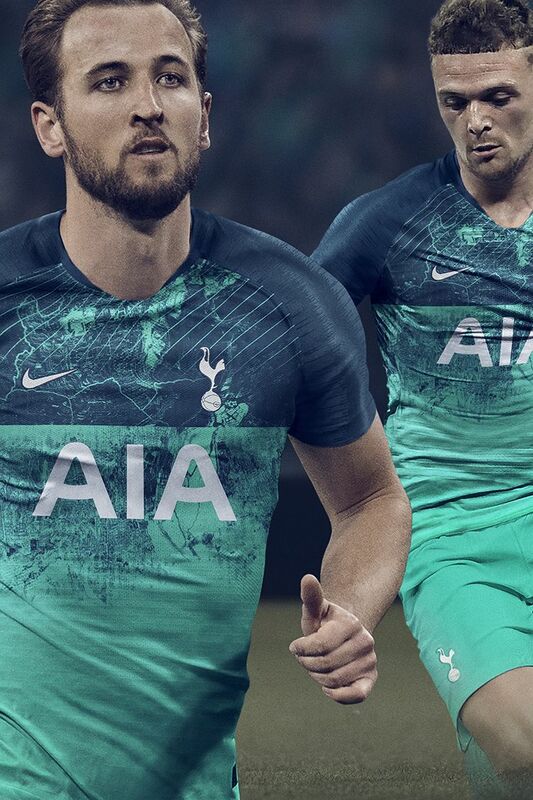 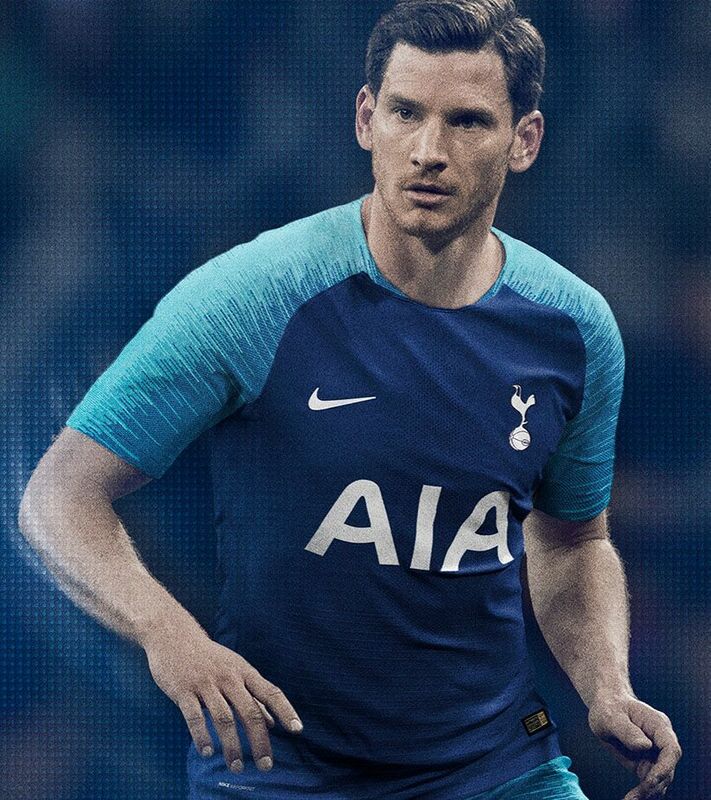 In terms of graphics, the heavy, foreboding darkness of the upper half of the kit represents the team's dominance over North London—and the hard, geometric design elements draw references from the '91 and '85 kits. 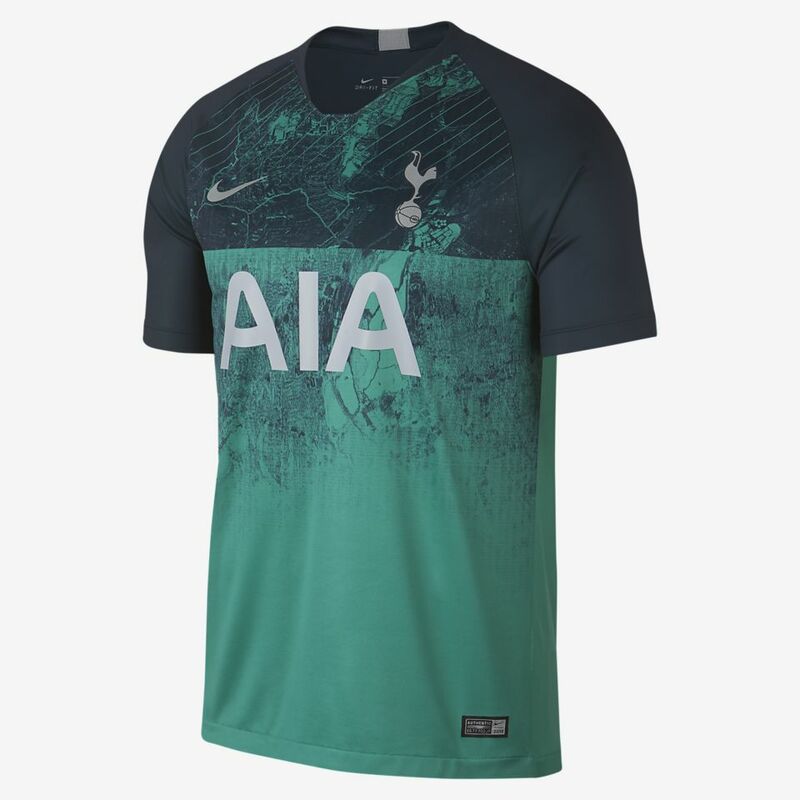 Finally, a metallic, reflective silver THFC crest and Nike Swoosh symbolise the quest for Europe's ultimate trophy.